– Quick and lightweight. Loads much faster than any other editor or IDE with similar features. – HTML5 and CSS3 ready Updated! Coding features are up-to-date with modern HTML5 and CSS3 standards. – Powerful HTML tools Updated! Tag matching, HTML Tidy, HTML inspector, HTML assistants and more. – Direct FTP/SFTP/FTPS Updated! Edit directly on your web server or publish local development copy updates with a single click. – Powerful CSS features Updated! CSS inspector, compatibility watch, prefixizer, shadow assistant, box assistants and much more. – Code intelligence Updated! Tons of intelligent code completion, navigation and suggestion features. – Browser preview Updated! Built-in multi-browser preview, split-screen mode, screen-size testing, XRay. – Smart code re-use. Code snippet library and code templates with assignable shortcuts. – Advanced search and replace. Quick search, detailed search, file search, regular expression support, detailed results and more. – HTMLPad combines speed of a simple editor and power of a full-size development environments allowing you to work much faster. – Unlike with other web development editors, you do not have to wait while it loads. – Interface and behavior is consistent with other editors. All essential features are right where they should be. 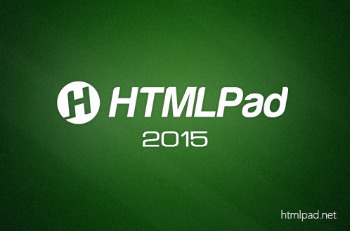 – HTMLPad is quick, clean and lightweight. It very powerful, yet not stuffed with useless buttons or panels. – You can adjust text editor, menus, toolbars, shortcut keys and everything else to fit your needs perfectly. – Upload/update your online website files in a just few clicks. – HTMLPad features are carefully crafted with speed and productivity in mind. – Syntax checkers, validators, debuggers, beautifiers, CSS prefixizer etc.